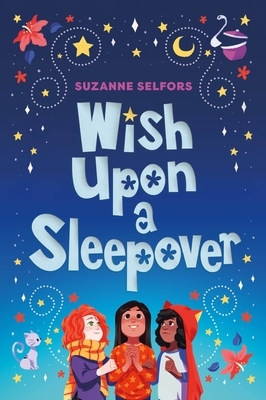 Bestselling author Suzanne Selfors brings heart and humor to this middle grade novel about a group of misfits who find true friendship where they least expect it. Leilani dreams of being friends with the most popular girls in her class—the Haileys—who are always throwing awesome themed sleepovers. She devises a master plan: throw her own sleepover of the century and invite them! When Tutu, her grandmother, accidentally mails Leilani’s invitations to the DO NOT INVITE list, the best sleepover in the history of the world becomes the worst. Instead of the Haileys, the only guests are the three kids Leilani definitely did not want to show up: the neighbor who never speaks, the girl who draws mean pictures of her, and her farting older cousin. At least her best friend August will be there. Leilani and her guests decide to make Tutu’s recipe for Sleepover Soup, which requires each of them to collect one ingredient that has significant meaning in their lives. They embark on a scavenger hunt that reveals unexpected surprises. What Leilani finds is not what she wanted, but it might just be even better.